Please visit 'WRUX.NET' made with this 'Vixar Cartoon'! DirectX End-User Runtime - Please install this at first only. To use Vixar Cartoon, purchase for '3,348 yen' at Vector. 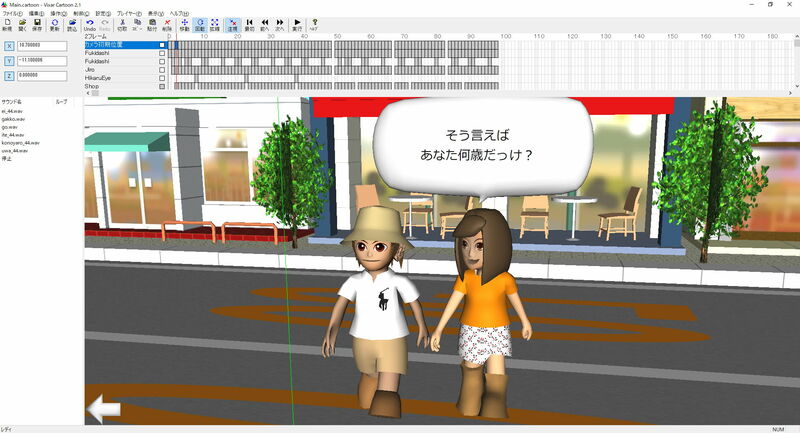 Outline Vixar Cartoon is 3D website authoring tool for Windows 7 or later without programming. Shareware. Instructions The animation made with VixarCartoon looks like anime that characters are still and only camera moves. Browser WebGL can be seen with IE11, Safari, Firefox, Chrome or Opera on Windows, Mac, iOS8 or Android.